The past decade witnesses not only dramatic economic changes but also exponential developments in science in China. Given its unique structural properties, the Chinese language provides challenging opportunities to explore both the language-specific neuro-cognitive processes during communication and the universality of theories developed on the basis of Indo-European languages. 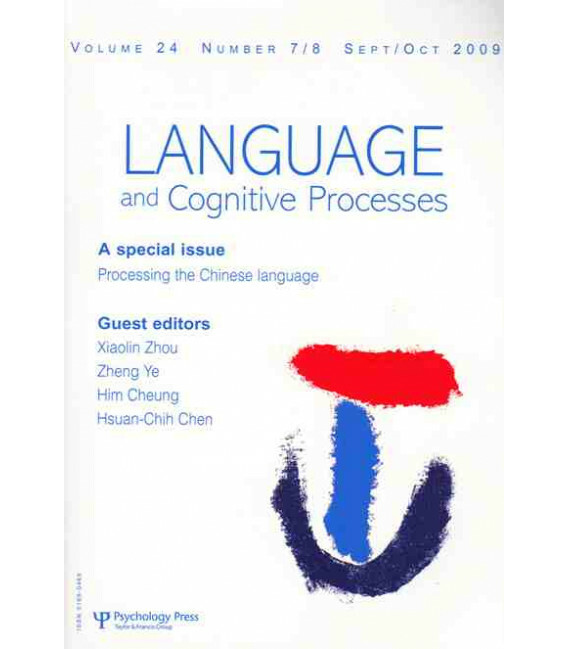 This special issue reports recent studies on cognitive/neural processes of the Chinese language, using either the behavioural and/or neuroscientific methods. 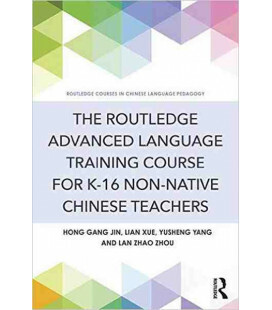 Topics investigated range from lexical processing of Chinese characters and compound words, to the processing of syntactic structures, and to the perception of consonants and the production of spoken words. - X. Zhou, Z. Ye, H. Cheung, H. Chen, Processing the Chinese Language: An Introduction. - Y. Tsang, H. Chen, Do Position-general Radicals have a Role to Play in Processing Chinese Characters? 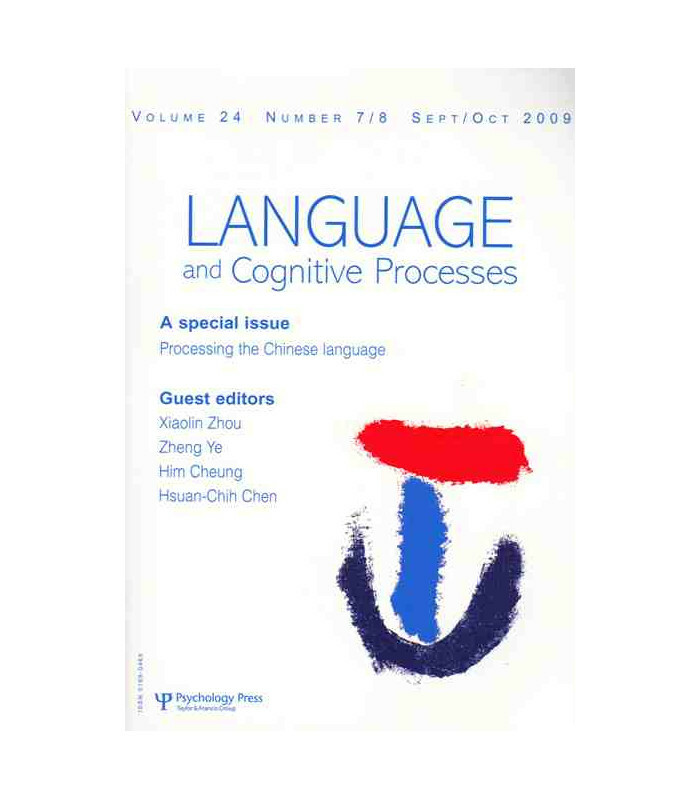 - H. Chen, Y. Vaid, J. Wu, Homophone Density and Phonological Frequency Effects in Chinese Visual Word Recognition. - S. Law, B. Weekes, W. Wong, Reading Aloud of Characters and Pseudo-characters: Evidence for Lexically-mediated Processes in Reading Chinese. - X. Zhou, W. Marslen-Wilson, Pseudohomophone Effects in Processing Chinese Compound Words. - L. Mok, Word-superiority Effect as a Function of Semantic Transparency of Chinese Bimorphemic Compound Words. - Q. Zhang, B. Weekes, Orthographic Facilitation Effects on Spoken Word Production: Evidence from Chinese. - C. Wang, O. Tzeng, A. Inhoff, J. Tsai, Acquisition of Linguistic Information to the Left of Fixation during the Reading of Chinese. - M. Gao, B. Malt, Mental Representation and Cognitive Consequences of Chinese Individual Classifiers. - L. Wang, M. Schlesewsky, B. Bickel, I. Bornkessel-Schlesewsky, Exploring the Nature of the Subject-preference: Evidence from the Online Comprehension of Simple Sentences in Mandarin Chinese. - Y. Hsieh, J. Boland, Y. Zhang, M. Yan, Limited Syntactic Parallelism in Chinese Ambiguity Resolution. - Y. Lai, Asymmetry in Mandarin Affricate Perception by Learners of Mandarin Chinese. - D. Lin, C. McBride-Chang, D. Aram, I. Levin, R. Cheung, Y. Chow, L. Tolchinsky, Maternal Mediation of Writing in Chinese Children.